Newport Boat Show – Duncan McIntosh Company Inc. The Newport Boat Show is the premier in-water big-yacht show in the West. Newport is the one show that features big boats along with all the gear and equipment that makes owning one more enjoyable. With more than 300 boats on display and no limit on the size of bigger vessels, this is the one show serious buyers won’t want to miss. And neither will you! Beautiful Newport Beach, California is the ultimate location for a big-boat show. Spend the day touring some of the finest yachts in the world at Lido Marina Village where there’s free off site parking and shuttle service. 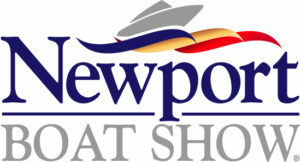 No other show can compare to everything the Newport Boat Show has to offer.